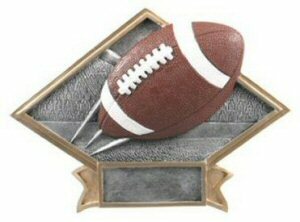 Diamond shape resin awards with a large football in the middle. This resin is design to stand alone on a desk or be hang on a wall. Three lines of free engraving on a gold plate are included to makinge this award special.